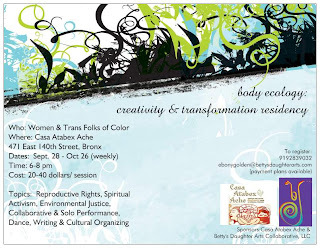 Join Betty's Daughter Arts Collaborative in our inaugral cultural arts direct action campaign!!! We begin tomorrow! 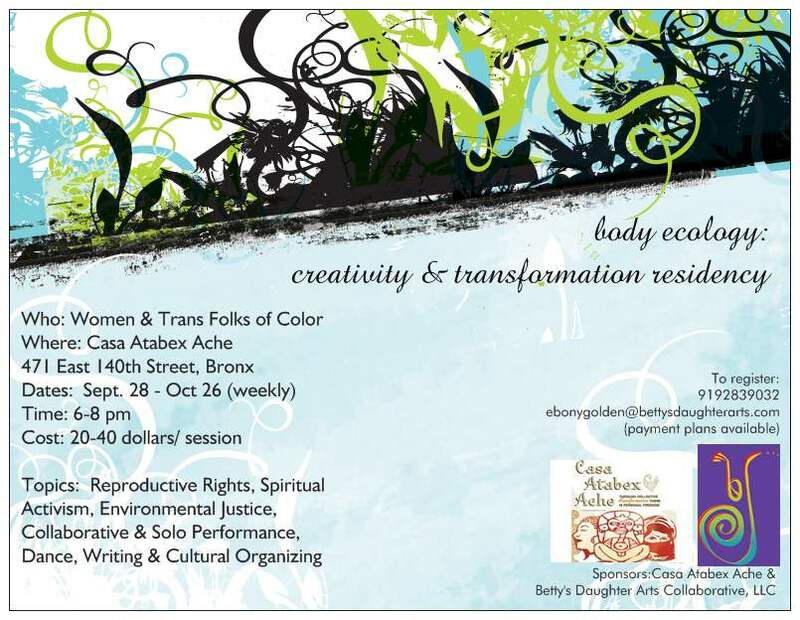 exploring the role of creative arts in working for individual transformation and community action. session, although no one will be turned away due to lack of funds. 28: Body Ecology Residency Begins @ Casa Atabex Ache. Register Here. 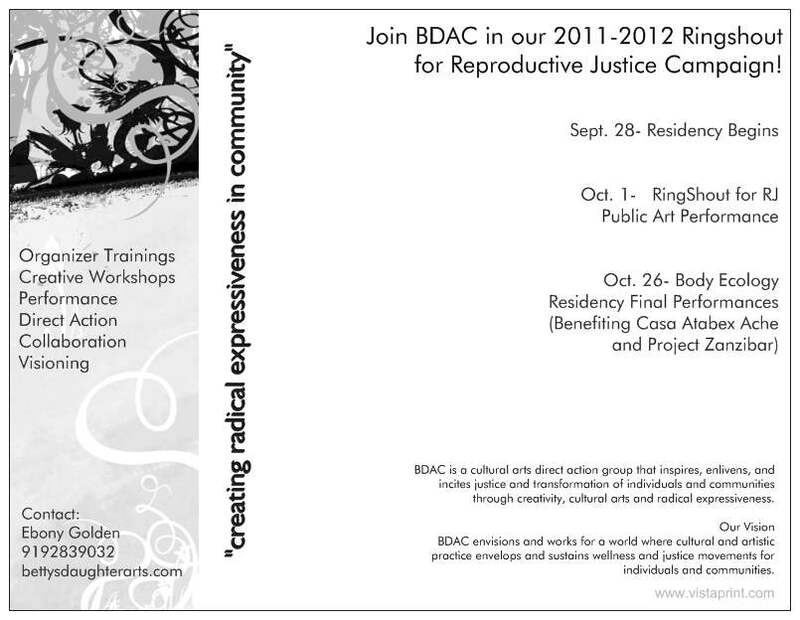 Reproductive Justice! 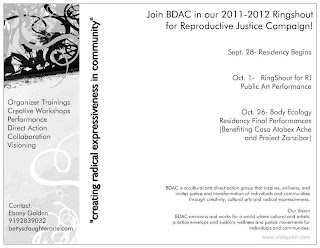 1: Ringshout for Reproductive Justice 3 pm @ the Harriet Tubman Memorial Plaza 122nd and St. Nick. The campaign will take the ensemble to Boston, Washington, DC, and Baltimore. Local allies include Casa Atabex Ache, Ocean Ana Rising, Brecht Forum, and WOW Cafe Theatre. creativity, cultural arts and radical expressiveness.